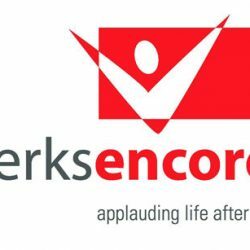 Strausstown, PA – Berks Encore’s Strausstown center now offers limited transportation service to and from the center for center activities and special events. With support from the Berks County Area Agency on Aging and the Freedom Auto Group, the Strausstown center is now in possession of an eight-seat Toyota Siena van. Van service is available to any person eligible to participate in center activities (must be age 50 or over) who does not have transportation to get to the center. Current service areas include Hamburg, Shoemakersville, Bernville, and Bethel. The van schedule is currently flexible and can accommodate small groups and individuals. “We’re willing to create and modify the van schedule according to the interest generated and the needs of the people we serve,” says Andrea Gebely, Strausstown Center Manager. Gebely noted that the van can pick up small groups from a general location, such as a church or apartment complex, and may be able to accommodate individual, door-to-door service as volunteer capacity and route length allows. If interested in using this service, call Andrea Gebely at 610-488-5770 for more information.